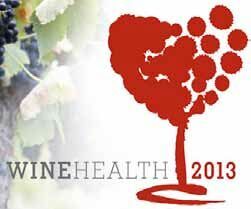 (1) Lower rates of heart disease, particularly evident with moderate red wine consumption since both alcohol and polyphenols are strong risk reducers. (2) Decreased risk of cardiovascular disease. A large clinical trial of Spaniards at high risk for cardiovascular disease shows that a Mediterranean diet with large amounts of extra virgin olive oils and more than seven glasses of wine a week in the week of the trial led to about a 30 percent decrease in risk. A French study of 35,292 men over about 28 years found that when more than 50 percent of their alcohol consumption came from wine, subjects showed a lower risk of death from cardiovascular disease as well as lung, lip, oral cavity, pharynx, larynx, bladder and rectal cancers. Moderate wine consumption was associated with a 40 percent reduced risk of cardiovascular disease and a 20 percent reduced risk of death from cancer. (4) Decreased risk of diabetes mellitus. A Norwegian study reported that moderate alcohol consumption led to a lower risk of developing Type II diabetes and less tendency for autoimmune diabetes. The lowest risk was for people who consumed alcohol at the rate of about one drink (12g of alcohol was used as a typical drink) per day. The strongest protection came from wine versus beer or spirits. (5) Prevention of dementia. Regular light to moderate drinking in a number of studies is associated with a lower risk of dementia and neurological disease, while heavy drinking is associated with a higher risk. (6) Less risk of stroke. A study of United States nurses (which agreed with previous international research) showed a decrease in the risk of stroke among light to moderate drinkers in comparison to non drinkers and heavy drinkers. (7) Better bone health. Light to moderate drinking can reduce the risk of fractures and improve bone mineral density. Moderate drinking has also been shown to be beneficial for factors leading to osteoporosis in postmenopausal women. (8) Lowered risk of rheumatoid arthritis. A large follow-up study of Swedish women found that moderate consumption (at least four drinks a week) led to a 37 percent lower risk of developing rheumatoid arthritis and supports previous research. (10) Lowered risk of some cancers. A large study in the United Kingdom found that moderate alcohol consumption lowered the risk of several types of lymphoma and plasma cell neoplasms. See also (2) and (3). The Australian Research Institute outlined the benefits of moderate drinking after the conference and noted that drinking one to two standard glasses of wine or other alcohol regularly provides health benefits for most healthy people. The Institute pointed out the findings are not applicable to young people. The key is moderate intake over a regular period, but not necessarily every day. Heavy or binge drinking is clearly associated with adverse health consequences. The Australia National Health and Medical Research Council recommends that for healthy men and women, drinking no more than two standard drinks on any day reduces the lifetime risk of harm from alcohol related disease or injury. The inaugural WineVision conference was held in November 2013 in London. Dr. Erik Skovenborg, a member of the International Scientific Forum on Alcohol Research, told attendees that he found no evidence to support the notion that one alcohol free day per week had health benefits, providing one drinks in moderation. He emphasized that any health benefits from drinking were only applicable to moderate drinkers.